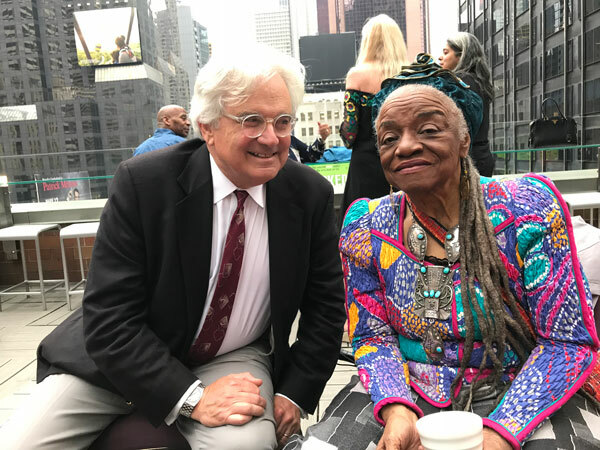 Timothy J. Clark’s expressive interiors, urban landscapes, figures and personal still lifes have been celebrated in solo museum exhibitions on both coasts and in the heart of the country. 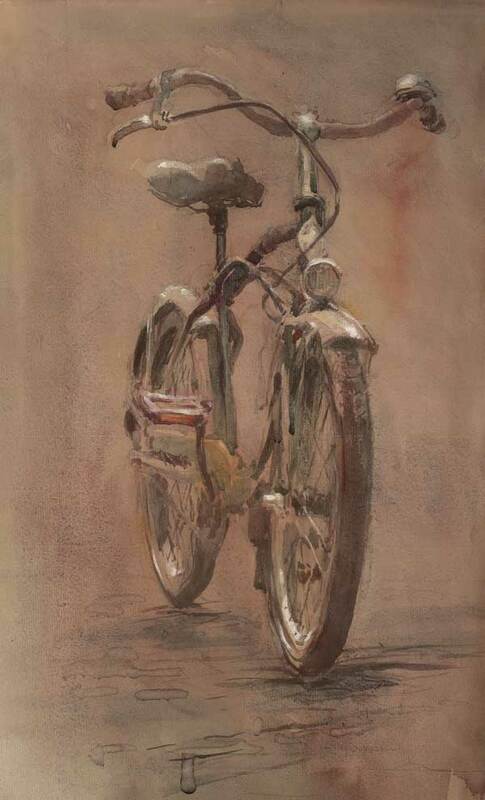 A modern, master figurative painter, he recasts traditions of painting for a new generation. 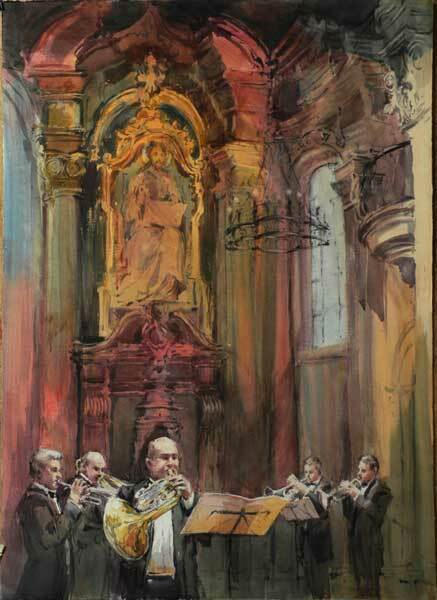 11:30 a.m. and 3:30 p.m.
Tim with Museum founder Mark Hilbert standing in front of Prague Concert at the Exhibition Opening. 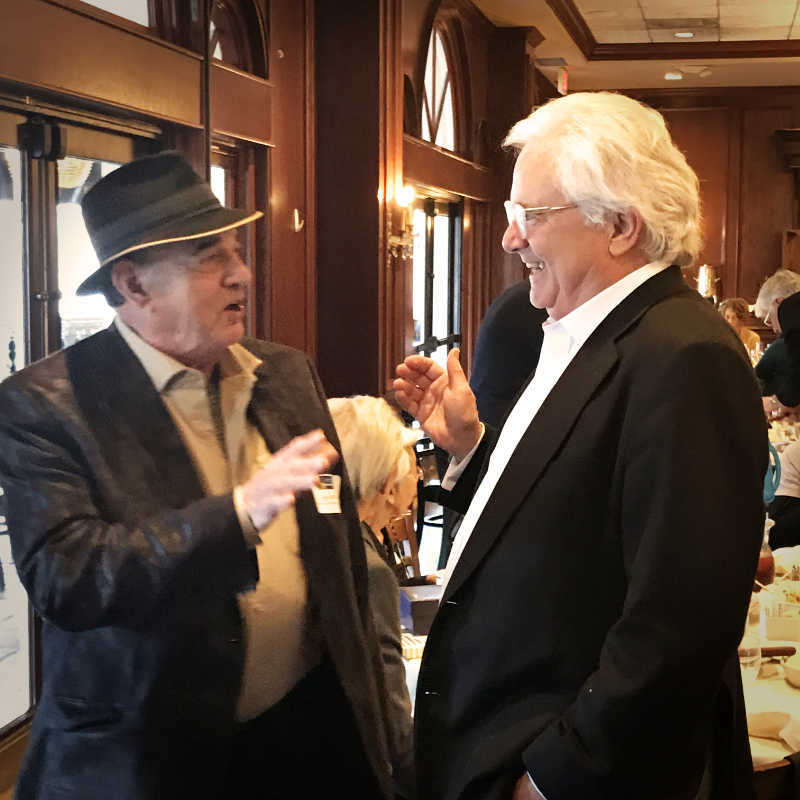 The Museum, which recently acquired the painting, notes that, "Clark stands as a modern master figurative painter known for his command of composition, drawing and color. He has uncanny skills." 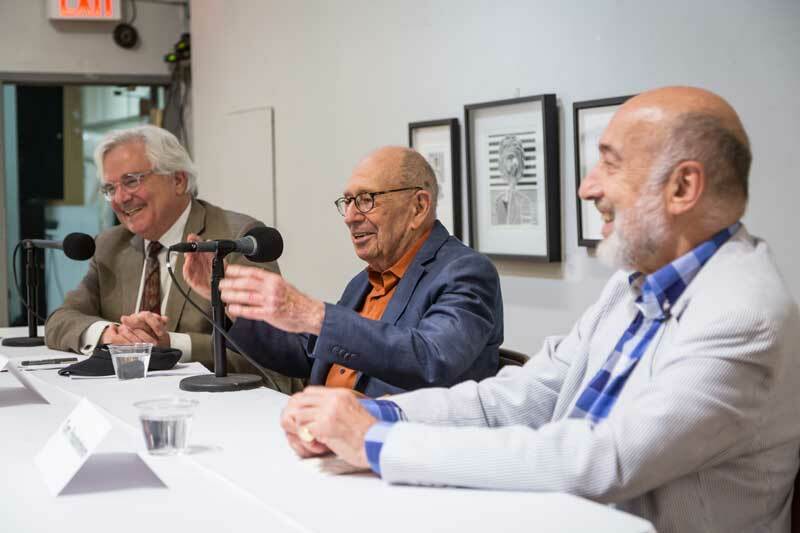 Tim speaking with renowned modern figurative painter Philip Pearlstein and noted art historian Tom Freudenheim at the Art Students League earlier this year. 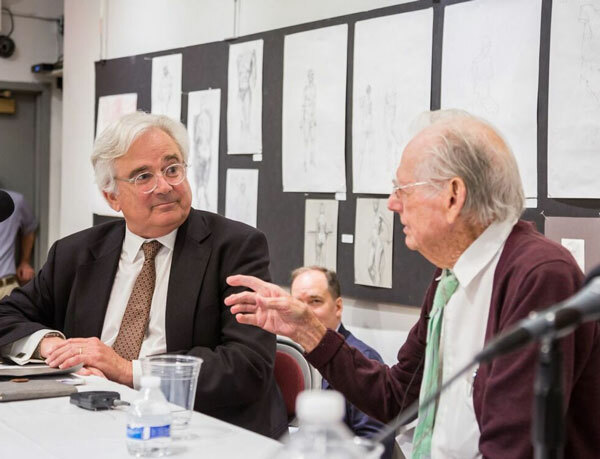 Tim with Wayne Thiebaud discussing drawing and art education at the Art Students League on May 15. 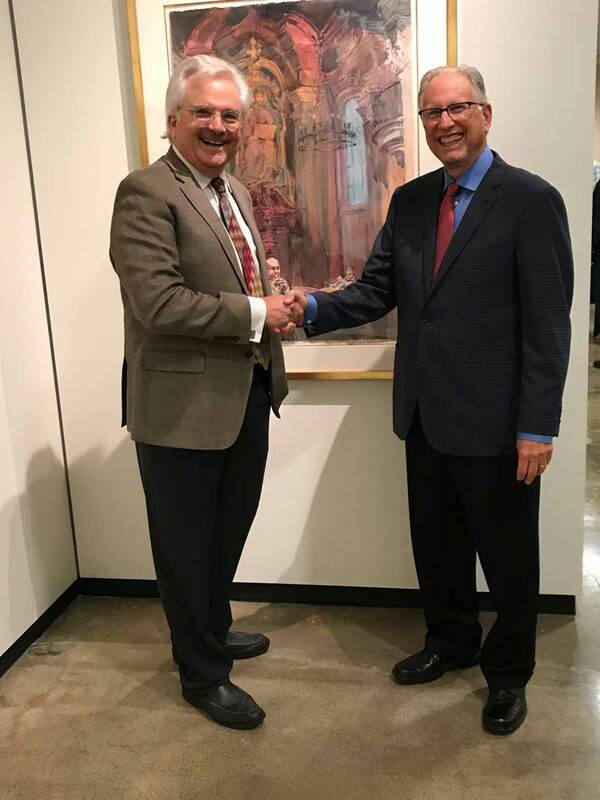 Arkansas’ Fort Smith Regional Art Museum has acquired Clark’s watercolor painting, Summer Solstice for its permanent collection. 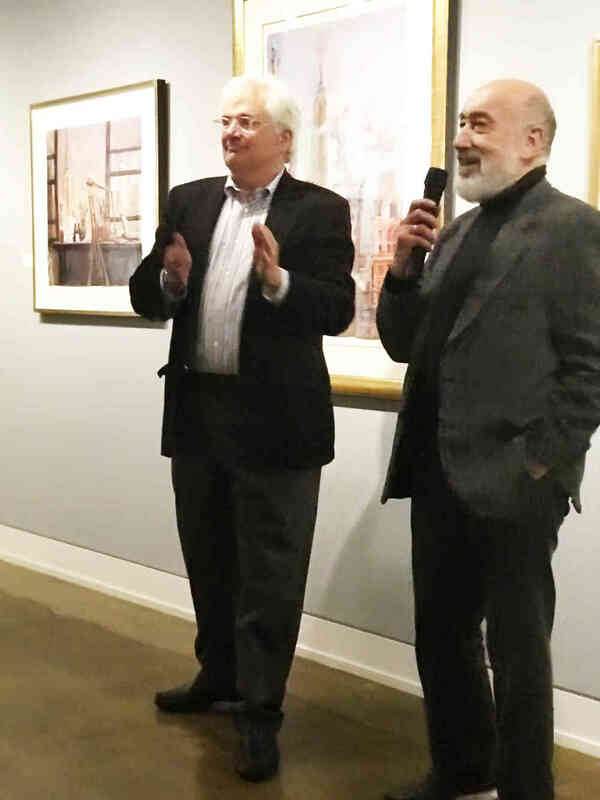 The Hilbert Museum at Chapman University, Orange, California has acquired two Timothy Clark paintings for their permanent collection. 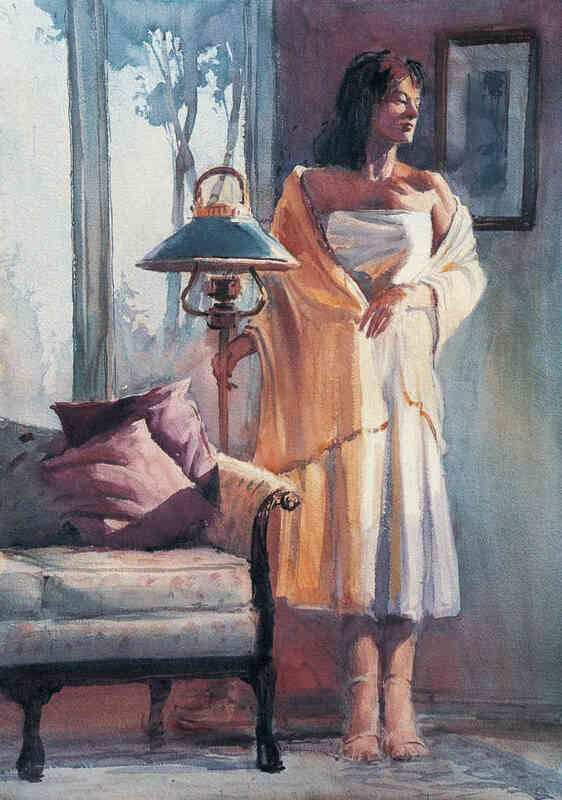 “The luminous watercolors of Timothy J. Clark are the successors to Sargent’s ethereal atmospheres of light, mist and color.